Wear this stamp of approval on your hen night to show that you are a true groupie! These hen party badges are personalised with your hen's name, party venue and chosen date! Wearing these bright personalised hen party badges will give you a sense of belonging to your hen party group which will enable you all to let loose and have a sensational time! These lovely hen badges are designed especially for those travelling to a popular worldwide hen party location like Marbella or Ibiza. 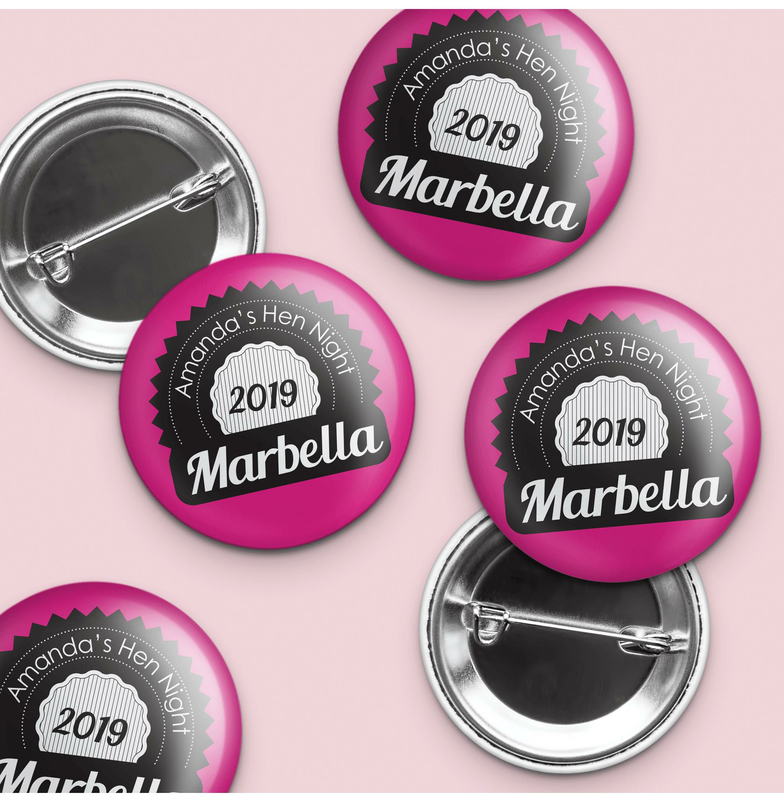 I ordered 19 Marbella badges for a hen weekend. I called the company and requested some slight changes to the badges before placing the order. The ladies I spoke to in the office were very helpful and the printers were able to fulfill our request. The badges arrived within a couple of days and were exactly what I was looking for. Extremely pleased with the product and service.